The phrase ‘basket case,’ referring in the darkest humor to a still-living man whose arms and legs have been blown off, becomes popular during the Great War. In 1911, the Ottoman Empire was figuratively a basket case, unable to administrate its European dominions. After losing Libya to Italy, the Sultan was unable to defend his ancient dominions in the Balkans, either. Europe has struggled to manage the Ottoman collapse. Despite the presence of international peacekeepers (or ‘gendarmes’) and a Dutch and French-led nation-building effort complete with a German princeling, Albania is a still-theoretical nation mired in anarchy and torn by competing outside interests. Nearly three-quarters of the population is Muslim; many of them miss their former imperial protection and privileges, while deeply-Catholic southern areas of the land have established an autonomous republic, and Catholic northern areas are already rife with insurgency. Greek troops occupy the southern regions of Epirus, and the King of Montenegro covets the city of Scutari, which his army ‘liberated’ during the Balkan War only to lose possession at the postwar peace conference. Still too illiterate and tribal for political development of a modern national identity, Albania stands at the intersection of many imperial competitions — old and new, large and small. 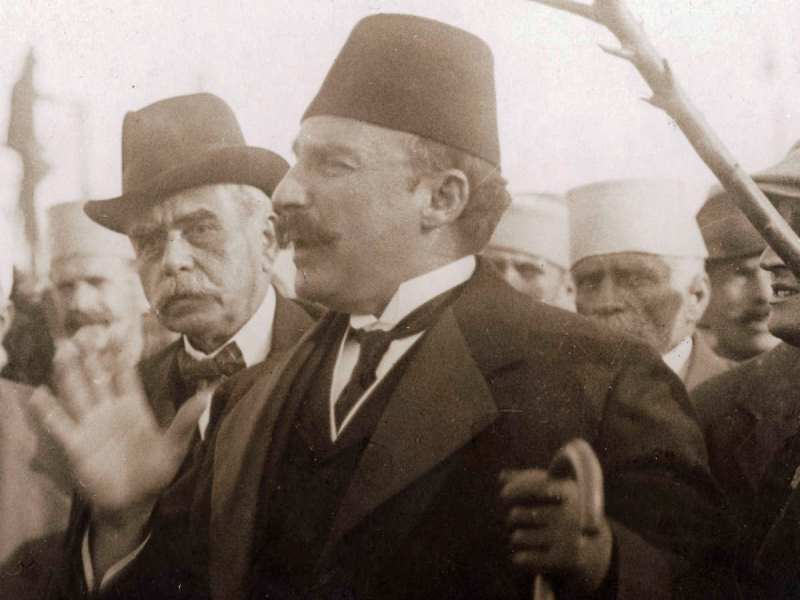 Essad Pasha Toptani, the strongman who returned from exile in October, is willing to let his Serbian sponsors bite off even more of his nascent nation if only it will secure a more homogeneous, internationally-recognized, secure Albania. 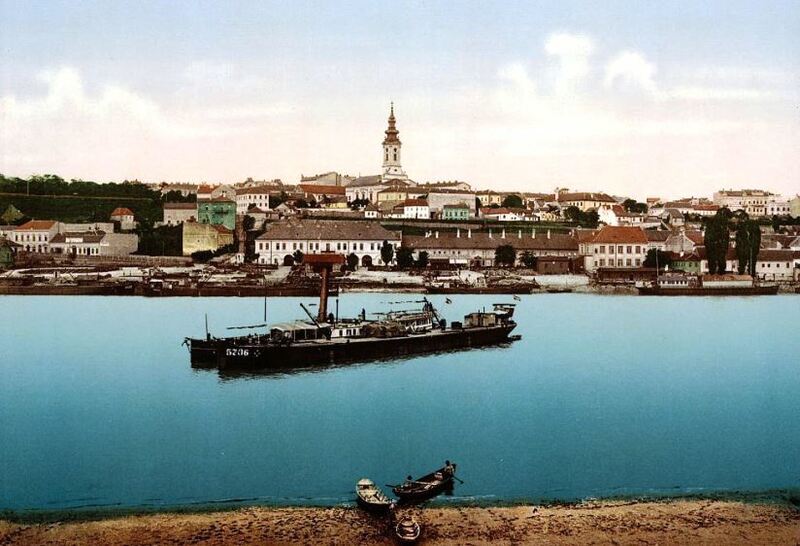 Among the worst atrocities of the Balkan wars, King Peter’s ‘rogue state‘ marched 50,000 Albanian prisoners down the streets of Belgrade (see above photo), then systematically claimed, colonized, and ethnically cleansed parts of four Albanian districts after the Ottoman defeat. Now, Toptani’s secret alliance with the Serbs has been necessary to win their arms and the Italian money that put him in power, but this willingness to work with the hated Serbs makes him deeply unpopular with those who agitate for a Greater Albania. Austria-Hungary has longstanding interests and influence in Albania, and in recent months has deepened its ties to militants in the Catholic areas bordering on Serbia — with the objective of destabilizing their wartime enemy’s southern regions, including Kosovo. No one in Albania has worn a crown since the weakling German prince William Weid fled the country in September, but one of Toptani’s first tasks as Serbia’s puppet is to deal with this guerrilla threat before it sparks an Albanian uprising in Serbia. 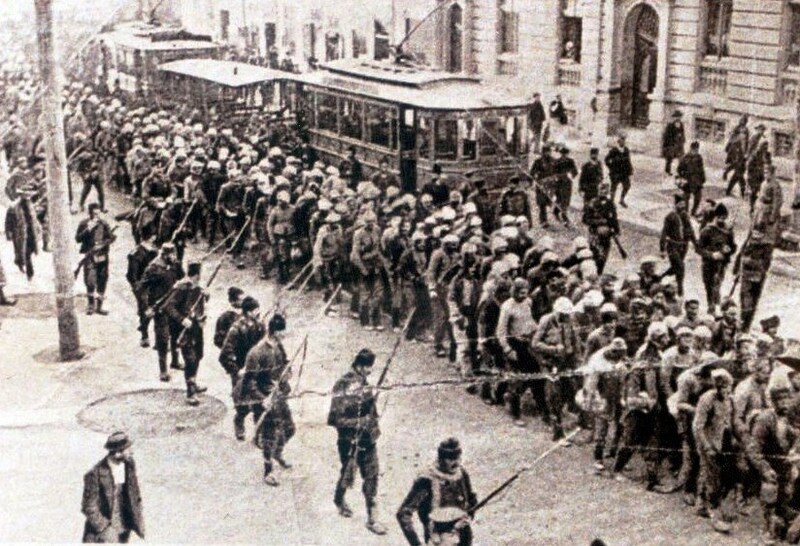 Today, an Italian expeditionary force dressed in ‘bluecoats’ occupies the port city of Vlorë, where the Provisional Government of Albania rejected the offer of Ottoman autonomy and asserted the nation’s political independence in 1912. The district is already dealing with a refugee crisis, for tens of thousands of Albanians have fled the atrocities that Greek troops have committed in Epirus since February, and hunger is turning into famine with the Winter. From these ingredients, Italian Consul Cesare Lora has cooked up a cover story of local unrest for today’s newspapers, which report the landings uncritically while they are still in progress. 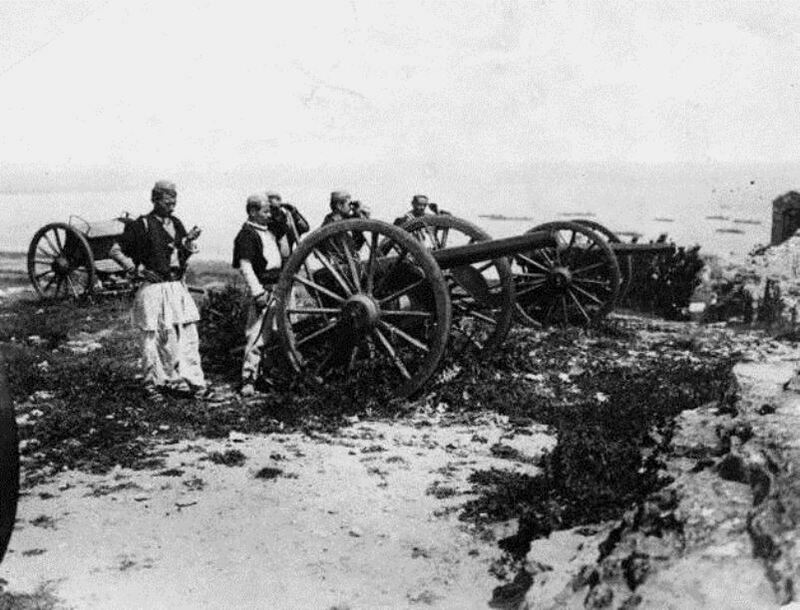 Troops actually took possession of the Adriatic island of Sazan yesterday and reconnoitered the city; they are coming ashore in force today. 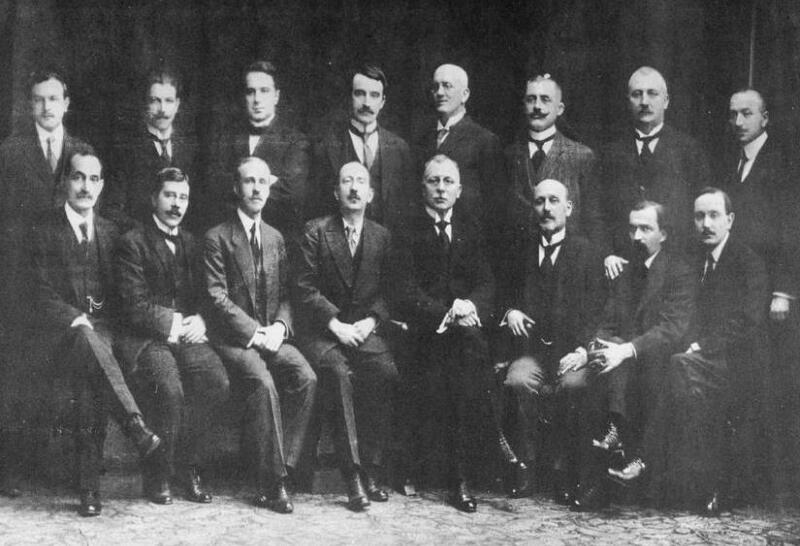 By the end of 1915, nearly 100,000 Italians will occupy the southern quarter of Albania. Because the eastern Adriatic shore is where ancient Rome became an empire, it is naturally the object of Italian ambitions to control the whole of the Adriatic coastline down to the borders of Greece and thus rise to ‘great power’ status. Italian troops will fight the Austrians here in 1916, and Italy will announce a protectorate over the half-formed nation-state in 1917. The competition of pan-Serbian and Italian empires to control or claim Albania will become one of the thorniest issues in the postwar peace. Finally forced out of its little neighbor by international resolve in 1920, the Italian state will invade and reclaim Albania as one of Benito Mussolini‘s first acts of the Second World War. Italians never actually leave the island of Sazan until they are defeated in 1945. 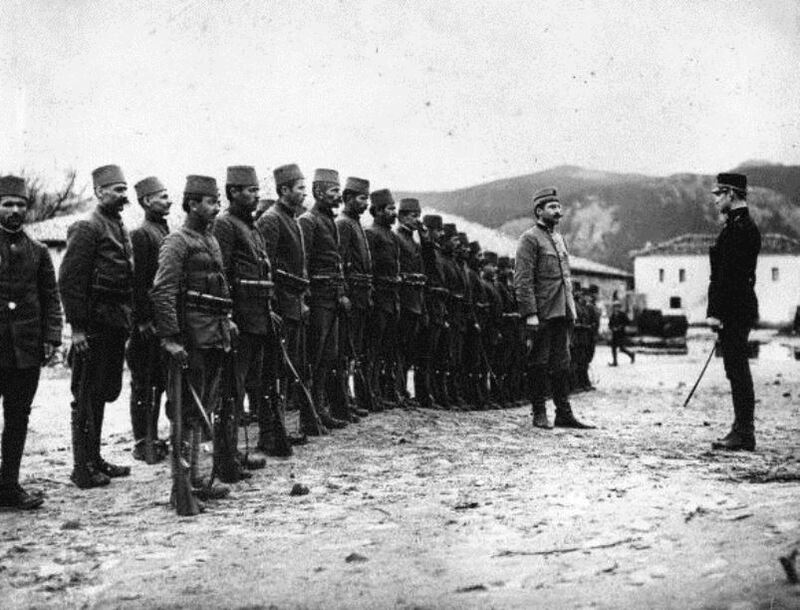 As the army officer who surrendered Scutari to King Nicholas of Montenegro in 1913, Toptani is hardly the sort of man to inspire military confidence, and Albania is never an important military power. 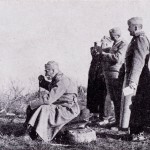 However, Toptani will have an important role in a second defeat when he tries to cover the retreat of Serbian soldiers and civilians through the restive pro-Austrian areas of his country and arrange for their relief. Condemned to death in the Ottoman caliphate’s November fatwa declaring jihad, he is nonetheless publicly pious, and invoked the defense of Islam alongside the mullahs who led the peasant revolt of September. We must understand him as a 19th Century conservative, not a modern man. Only a very strong person can knowingly take charge of a hopeless cause — a basket case — and Toptani is that man, while Albania is that country. He is unmourned today by a nation which sees him as a traitor to national unity and an artifact of the feudal Turkish social system. Yet we are perhaps a little unfair to him now: deeply suspicious of Italian intentions, Toptani’s bargain with the Serbian devil was the least bad option from a terrible menu of choices.